Westport Village offers a public lot to all tenants in the Westport Village, so there is always plenty of metered parking available. The Westport Village is off the newly expanded Westport Road between Herr Lane and Lyndon Lane, just east of I-264, 3 miles south of I-71, five miles west of 265 and 2 miles north of I-64. hiko-A-mon is located at the south part of the village (next to Gattiland). We have a happy hour from 4:30 p.m. to 6:30 p.m. everyday. 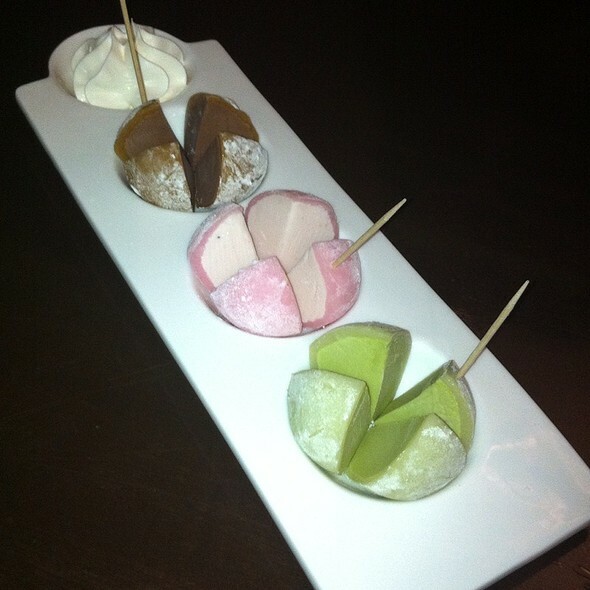 All glass wines, Sapporo draft beer and Hakushika draft sake are a half price during a happy hour. 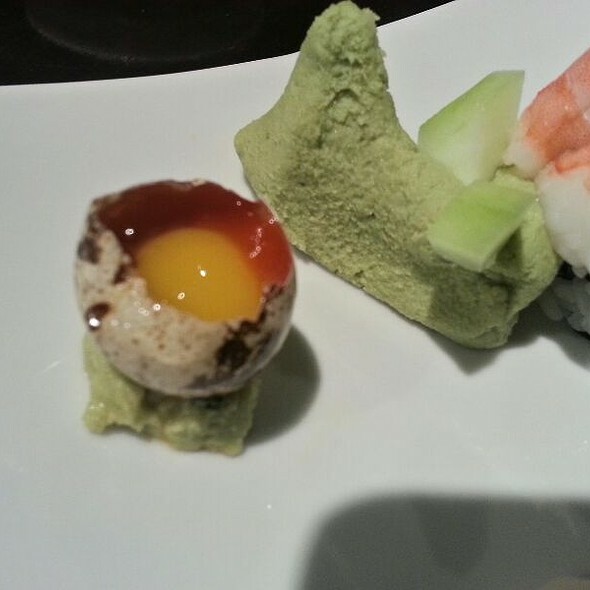 Also, appetizer specials are $3.50 each, and sushi special (1 roll and 5 nigiri) is $11.95. Please contact us for more details and make a reservation for a happy hour now! Now you can see our menu at Facebook, so check our Facebook page! We are a member of Louisville Originals. 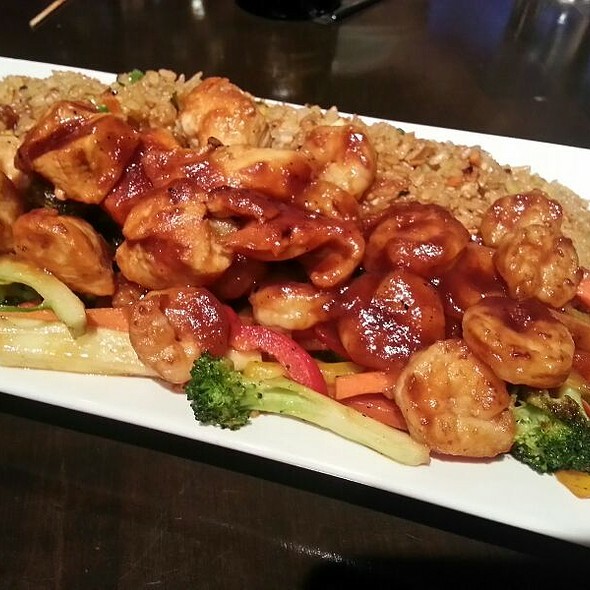 You can earn and/or redeem Louisville Originals points at hiko-A-mon! We offer two special private rooms. One is called "Ozashiki" which is a very nice Japanese style private room, and yes, you will be asked to take off your shoes and sit on the floor. It will be held many functions for up to 16. If you have a great birthday or family party, "Ozashiki" will be the best fit for you. If you need to impress your clients, we have another private dining room. It will be held up to 11 people and available for the business meeting. Also, this private room is perfect for your family event. It's really comfortable, so you will be relaxed with your family. If you are interested in these private dining rooms, please call us ASAP for information on booking availability. hiko-A-mon is a dining experience like traditional yet modern Japanese influenced by European and South East Asia. The menu features modern Japanese dishes as well as signature offerings inspired by traditional restaurants in Kyoto, Japan, where chef hiko was born and grown up. Also, hiko-A-mon has a noticeable wine list as well as a sake and shochu list. This is because Chef Hiko has a passion for wine. You can enjoy nice Japanese dishes with nice wine, sake and shochu. 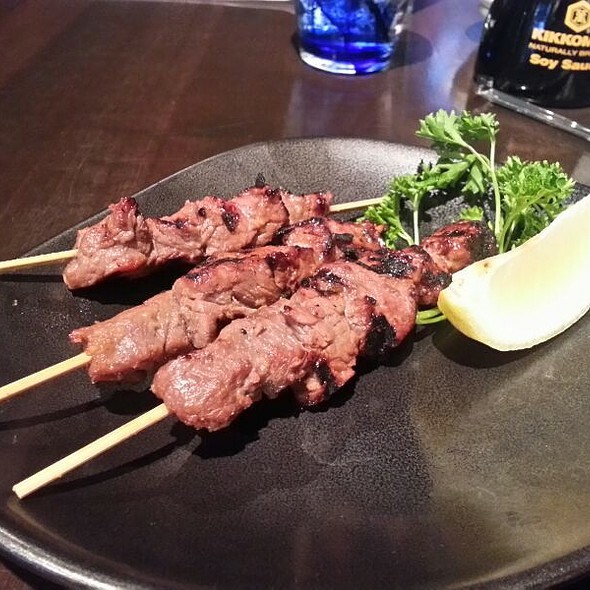 hiko-A-mon’s environment is well-suited to singles, couples and families. The sushi bar seats up to twelve guests, there are three special booths that seats six guests each, and there are bench-sheet tables up to sixteen guests. Private dinning room is available to accommodate up to 10 guests, and a "Ozashiki" room is available to accommodate up to 16 guests. Steamed soy beans with sea salt; Japanese traditional appetizer with beer! Fresh garden salad with everyone's favorite "hiko-A-mon original dressing"
All Entree comes with rice (or brown rice) and salad. Added $2 to change to fried rice. Cream caramel, mango, strawberry, brown rice crispy, whipped cream and vanilla ice cream from "The Comfy Cow"
Cheesecake with a slightly tangy finish in flaky pastry tortilla; served with vanilla ice cream from "The Comfy Cow"
The sushi was very fresh and the selection of other items make Hiko-Mon a very good choice for diverse palates. The service was very good for our party of six. Good food- felt rushed when trying to enjoy a glass of wine before ordering . My waitress kept coming to the table asking if I was ready - more than normal. Very enjoyable and the food was delicious! Excellent food and service. Will definitely be back again. Food and service were good. Large table of ten or twelve young people were very noisy. Ambiance in room is okay but food is the important part. The fish was very good quality, but they stated on the phone that they have a gluten friendly menu. Not really. Every sauce has gluten in it. So it was a lot of fish and rice with gluten free soy sauce for us. Best sushi in a town with good sushi. Service on point. Other menu items above the line as well. Hiko-A-Mon is consistently outstanding. The service is great and the food is fabulous. Beautiful, delicious sushi, tasty ramen noodle bowls, tempura, fish, ribs, seaweed salad, miso soup......something for everyone. Many different sakis from which to choose also! You will not be disappointed. This was one of the top two sushi experiences of my life. The food was fresh and prepared beautifully. The service was prompt without being hover-y. Overall one of the top dining experiences I've had. Wonderful dining experience. Service was A+, sushi and sashimi quality was surprisingly high (coastal quality). We will definitely be back. 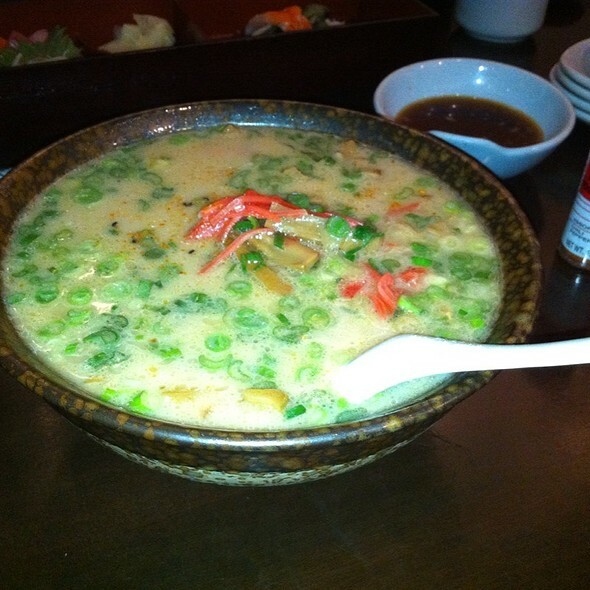 Had a great lunch with salad, soup, Raman and udon shrimp tempura. Amazingly all for $22 for two. One of the best Japanese places around. 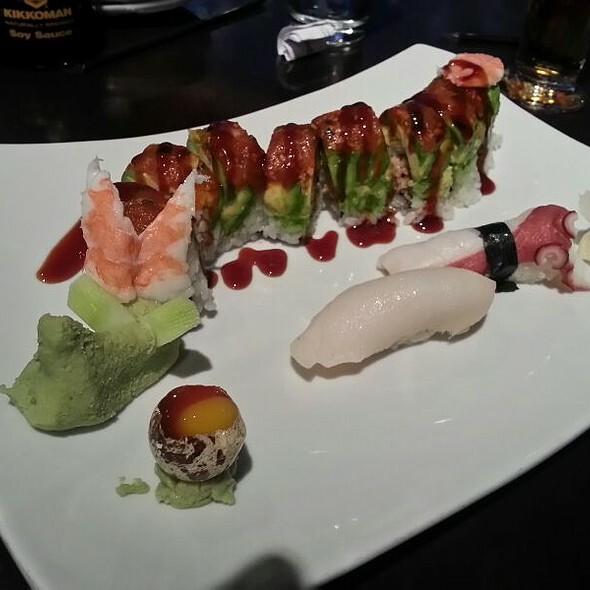 Very fresh sushi, very well done. This is By far the BEST sushi in Louisville. I highly recommend. We went for the happy hour and enjoyed several items from the happy hour menu. Very nice experience. We sat for 20 minutes before we were even asked for a drink. No refills were offered unless we tracked down the server. Food was amazing, service needs major improvement. A person in our party has a gluten intolerance and the waitress was very knowledgeable and was able to guide my friend to what she could order. Was disappointed the the lamb was smothered in a sauce so strong you couldn't taste the $37 lamb. Expensive. Don't order beef it was like eating beef jerky. Stick with sushi and rolls which were good. While the food was very good at this place, the actual restaurant was FILTHY. We almost walked out before ordering, we were that concerned about sanitation. The positive reviews on the food was the only reason we stayed and took our chances. The tables, chairs and floors were all sticky and there were actually splatters of food/sauce on the wall next to our booth. This could be a good restaurant, but I would not go back or recommend it to anyone unless the sanitation and cleanliness of the restaurant dramatically improved. It was great from beginning to end. The food is always excellent here. Waited 15 min just to get water. Then the waiter rushed us. I had a nice experience at this restaurant. There is a wide range of sushi with descriptions, and they arranged the sushi in sculptural forms which were fun and unexpected. The waiter was friendly and helpful as well. Service was terrible. Our drinks went unfilled and un refilled, empty plates stayed on the table, nobody minded that we were basically ignored. 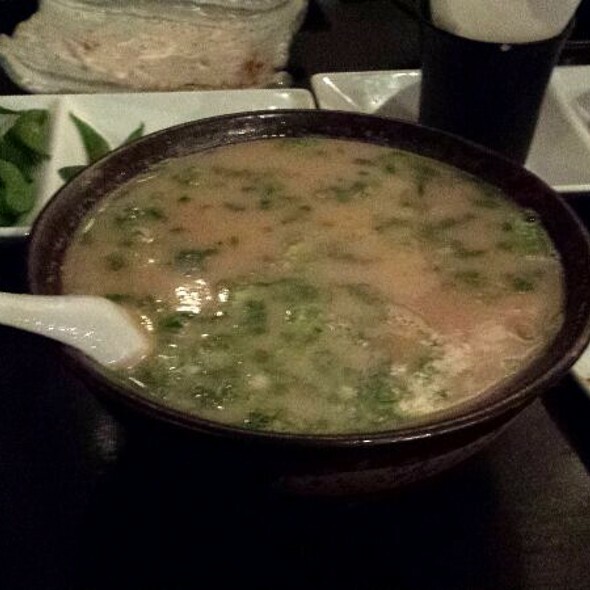 Hiko-a-mon is consistently very good! I had their small house salad with wonderful ginger dressing and the Valentine's sushi roll. 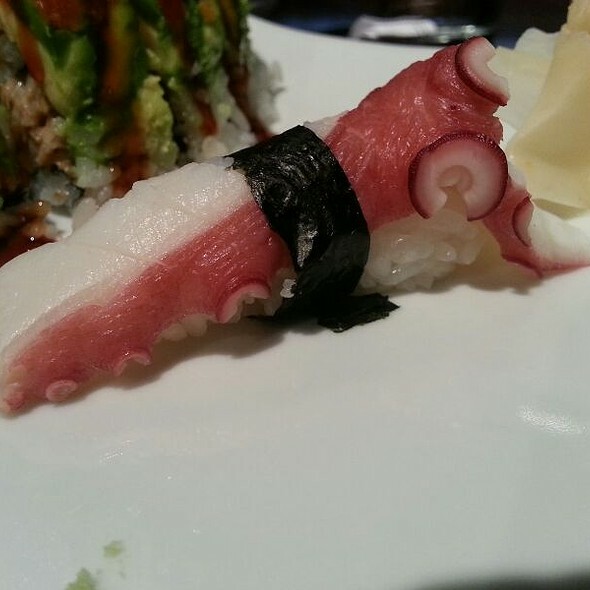 The sushi is always very high quality and fresh! My friend had the salad and the lunch salmon with vegetables, which she loved. The waitress was attentive enough to stay on top of our water refills, but not so much as to interfere with our business conversation. perfect! Nice menu..good variety. Sushi was done well, fresh and tasty. Service very efficient. Ambiance is so-so...no tablecloths, pretty casual. Wine selection small, and a bit pricey . 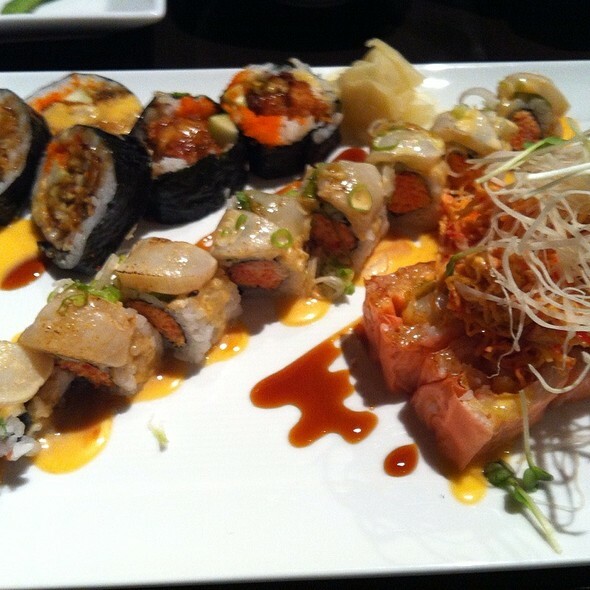 We were craving sushi and think Hiko-a-mon has the best quality in town. I had the wasabi roll and the Valentine's roll - both were great but the Valentine's had really nice pieces of tuna or salmon on top. My husband had the bluegrass and sunset rolls and loved them both! There is phenomenal sushi in Louisville and this is definitely my favorite. Sadly my dining partner was feeling ill, but that cannot detract from the overall excellence of this establishment. Service was attentive without being obtrusive. Sushi and sashimi were totally fresh. All presented with much creativity.